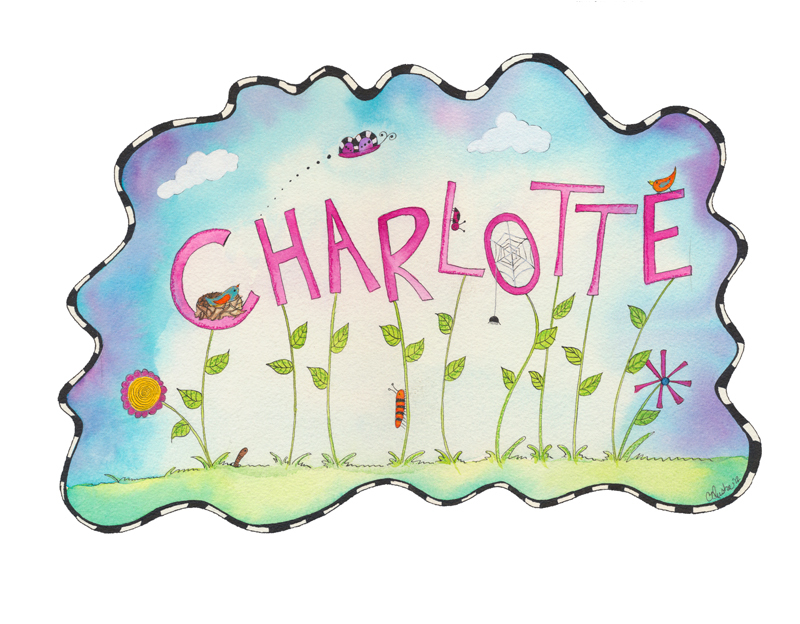 My friend just had a baby named Charlotte.... Love that name :) I made a little piece of artwork for her. I hope she likes it! My niece Jenny just had a baby so I think I need to do a Maci Jo piece too! Jenny's sister Liz just found out she is having a boy, so I will have to think of some "Boy" type things. I have 2 girls, so I tend to be a little bit on the girly side of illustration. How can you not love pink? I am currently working on a picture book manuscript for the #PBDummy challenge. Trying to come up with something clever in 500 words or less is much more difficult that it sounds! Back to work....I have so much to do!